The main villa is composed by 5 rooms: Aurora, Giada, Lilium, Ambra, Primula. All rooms are recently renovated according to the principles of bio-architetture. 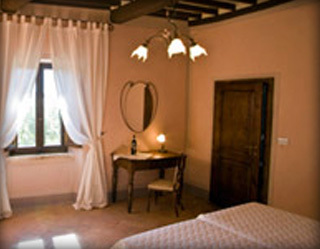 The walls are decorated with natural pigments and the rooms are furnished with antiques forniture.